High Protein Lean Physique Shake with CLA, Raspberry Ketones, L-Carnitine and Green Tea. Muscle Xcess Platinum Seal Diet Whey has been formulated by champions to build future champions. Platinum Seal Diet Whey- High Protein Lean Physique Shake with CLA, Raspberry Ketones, L-Carnitine and Green Tea. 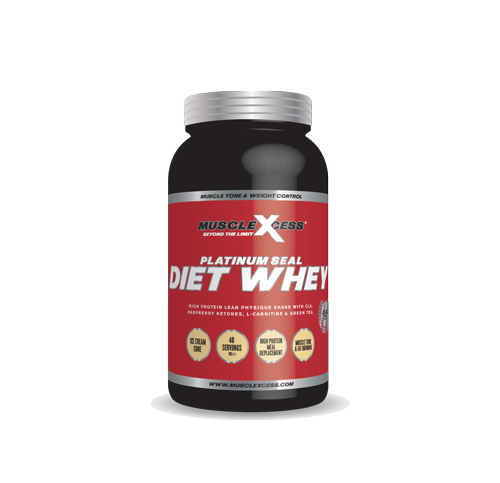 Muscle Xcess Platinum Seal Diet Whey has been formulated by champions to build future champions. 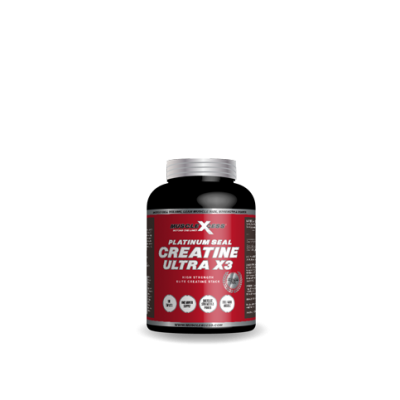 It is an advanced formulation using the finest quality Micro-Filtered Whey Protein Concentrate and Milk Protein Concentrate with excellent proven fat burning ingredients added. Platinum Seal Diet Whey has been developed to be used as a meal replacement and to assist in building a lean muscular physique. Platinum Seal Diet Whey supports post exercise recovery, immune system function, lean muscle tissue growth and protection and provides a nutritious meal replacement. Platinum Seal Diet Whey contains CLA, L-Carnitine, Raspberry Ketones and Green Tea Extract which can assist in the loss of unwanted body fat making it the ideal supplement to support a healthy weight control regime. Platinum Seal Diet Whey is low in fat, sugar and salt and contains only 91 calories per serving making it so versatile, it can be used as a meal replacement, before and after workouts or simply poured over or mixed with your favourite breakfast cereal. 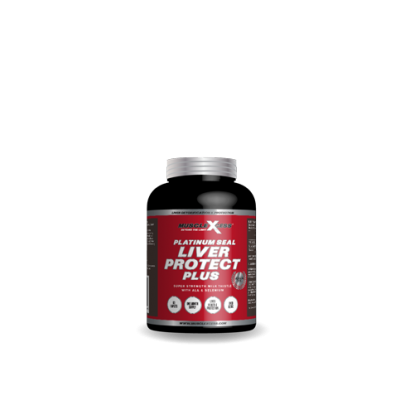 Perfect for General Weight Programmes, Muscle Building, Team Sportsmen and Women, Athletes, Swimmers, Cyclists, MMA, Boxers and Endurance Athletes. For weight management and muscle support Muscle Xcess recommend a high protein diet of around 1g of Protein per Pound of Lean Body Weight (2.2g/Kg) spread over 5-6 small meals e.g. 3 solid food meals 3 protein shakes. Carbohydrates should only be eaten with the first 3 meals of the day. If you always put a limit on everything you do, physical or anything else, it will spread into your workouts and throughout your life. There are no limits, only plateaus and you must not stay there, you must go beyond them – Muscle Xcess – Beyond the Limit. Directions for Use: Use 2-3 servings of Platinum Seal Diet Whey daily. Use a serving as a meal replacement for Weight Management. Use a serving before and after workouts for Body Toning. For Men: Add 2 level scoops (approximately 50g) to a shaker or blender containing 300-350ml of water or skimmed milk. For Women: Add 1 level scoop or 2 level scoops (approximately 25g-50g depending on preference and calorie requirements) to a shaker or blender containing 150-175ml (if 1 level scoop used) or 300-350ml (if 2 level scoops used) of water or skimmed milk. Serving size may be increased or decreased to meet individual requirements. Ingredients: Whey protein concentrate, milk protein concentrate (of which 80% micellar casein, 20% whey protein), waxy barley starch, peptide bonded glutamine, soy lecithin (emulsifier), thickener (guar gum, carboxymethyl cellulose), flavouring (chocolate), cla powder, raspberry ketones, green tea extract, n-acetyl-L-carnitine, natural colouring (fat reduced cocoa), stabilisers (citric acid, malic acid), sweetner (sucralose). Ingredients: Whey protein concentrate, milk protein concentrate (of which 80% micellar casein, 20% whey protein), waxy barley starch, peptide bonded glutamine, soy lecithin (emulsifier), thickener (guar gum, carboxymethyl cellulose), flavouring (strawberry), cla powder, raspberry ketones, green tea extract, n-acetyl-L-carnitine, natural colouring (beetroot red), stabilisers (citric acid, malic acid), sweetner (sucralose). 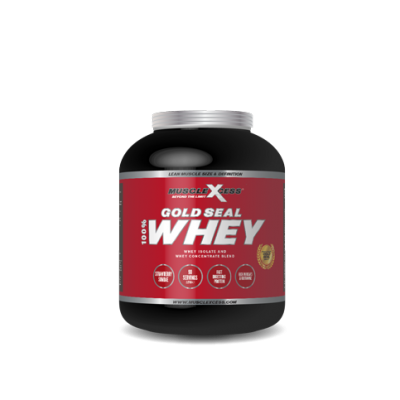 Ingredients: Whey protein concentrate, milk protein concentrate (of which 80% micellar casein, 20% whey protein), waxy barley starch, peptide bonded glutamine, soy lecithin (emulsifier), thickener (guar gum, carboxymethyl cellulose), flavouring (vanilla wafer), cla powder, raspberry ketones, green tea extract, n-acetyl-L-carnitine, stabilisers (citric acid, malic acid), sweetner (sucralose).